Instead of serving a traditional cake or pie for dessert, why not mix a quick Mexican flan in a glass? Creamy rich vanilla custard base with caramel vodka, pinch of cinnamon and essence of orange, it’s dessert and an after dinner drink in one. Have a flan-tastic evening! Using a spoon, drizzle the caramel sauce inside the martini glasses, in a circular motion, and place in the refrigerator to chill. Reserve some caramel for drizzling as garnish. Pour the crushed candy bars onto a flat plate and pat flat with your fingers. 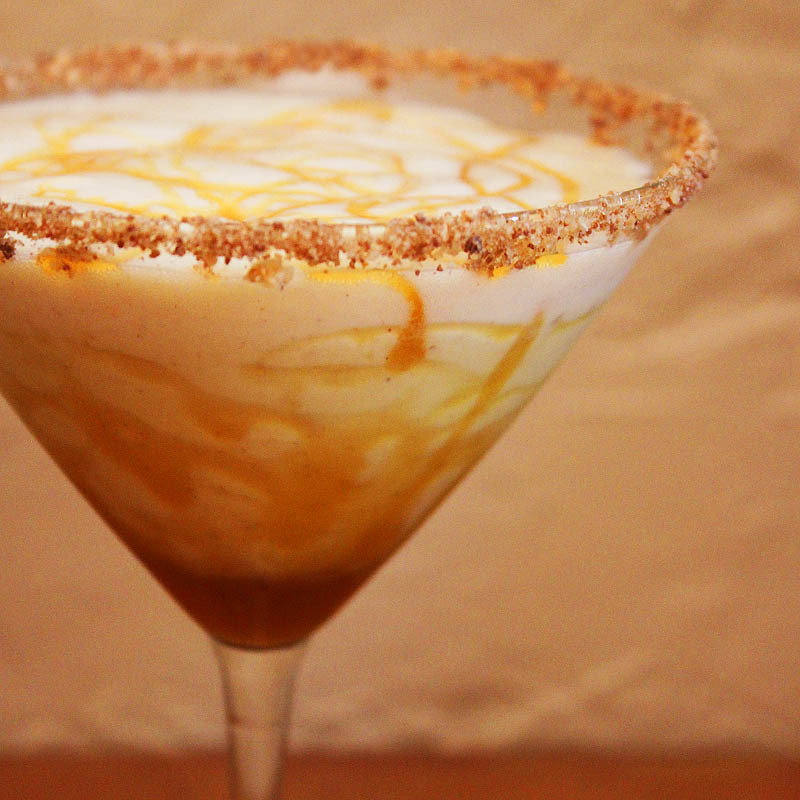 Liquify in a blender, the custard, caramel vodka, milk, splash of orange, cinnamon and ice cubes. Blend until smooth, about 1 minute. Take the glasses out of the fridge, run an orange wedge around the rims and dip into the crushed toffee to coat. Fill with the caramelly flan mixture. Drizzle with more caramel sauce and garnish with a thin slice of orange peel. This is a decadent drink for sure. An adult milkshake, make mine a double.